Sure you can promise to give her the moon and stars, but nothing compares to giving her a rainbow, especially when it comes in the form of a splendid ring. It’s easy to see why civilizations throughout the ages have fallen in love with opals. Its pinfire flashes of iridescent pinks and greens on moonlight have mesmerized admirers since the beginning of time. The Romans called the opal the “King of Gems” since it contained all the hues of the rainbow in addition to the colors of other gems. 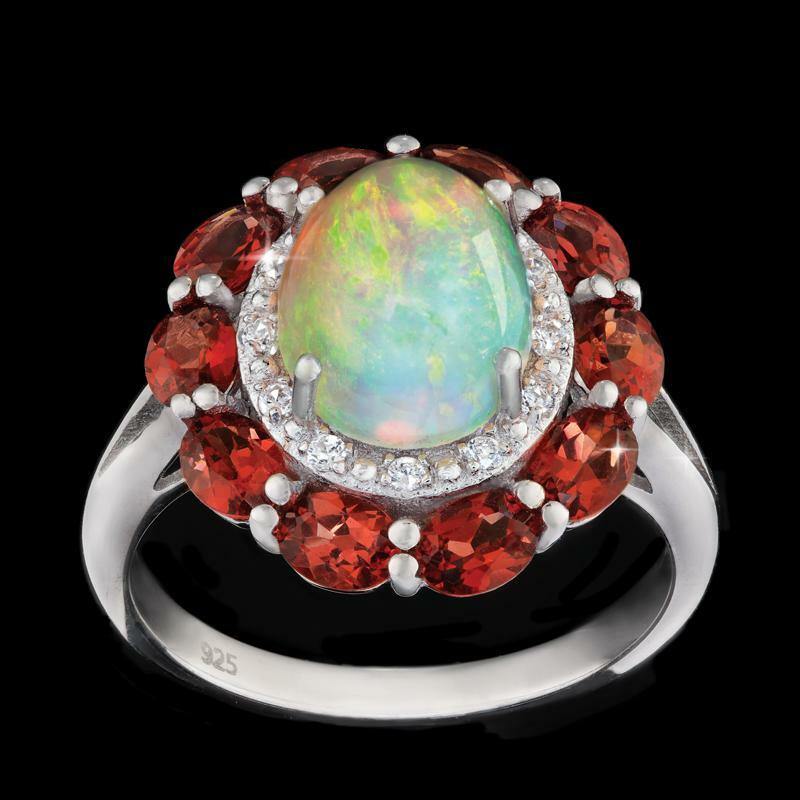 In the Opal Rainbow Ring, a generous 2 ½-carat Ethiopian opal puts on a spectacular light show. More than any other opal, the Ethiopian variety has proven to be the most diverse in its coloring. Known as ‘play-of-color,’ the entire rainbow can be viewed within the walls of these gems. This magnificent, iridescent stone is surrounded by 10 fiery red garnet stones, and glistens with the glow of 12 lab-created white DiamondAura® rounds, all set in a sterling silver ring.